Tips for Women (single female) travelers in Iran, find what to wear, read about local customs, society and safety while travel in Iran . 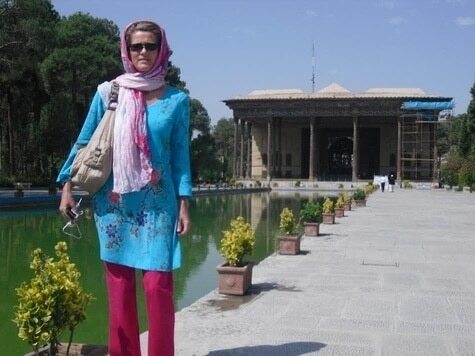 As a solo female to travel to Iran It is a good idea to understand the culture of Iran before going there. Most women whom planning a trip to Iran will already be aware of some of the cultural and social conventions that affect women travelers. What to wear when traveling in Iran? This is a hot topic and already a big concern as most younger women wear a jean headscarf and a shorter and more fashionable ‘Manteau’ which covers their bottom. Inside the home most people wear ‘western’ clothing. the dress code is simple and unlike the general belief you dont have to wear whole black. I am a solo female, can i travel to Iran on my own? As long as you confirm to local customs and attitudes just like any country you travel to and take normal and common sense precautions, however, violence against foreign solo female who travel inside Iran is almost unheard, of course you should take normal safety precautions. In addition, violent crime, including assault is less common in Iran. No one can predict the future or what will happen to any individual traveler, but many single female traveler have reported they feel safer in Iran than other destinations they have been before. Take common-sense precautions and observe local norms. How is the public transportation for a single female tourist in Iran? Interestingly, many local women also approach western women on the public transportation in cities like Tehran, Shiraz and Esfahan. Many tourists rely on public transportation which is very safe, clean and reasonable way to travel inside Iran. when you take a bus to travel you will be seated beside women, while Train travel in Iran has a separate car for women and you will be seated with the women. Another interesting fact that is not often addressed in standard travel tips and guides is the willingness of Iranian female to help female travelers in any way they can. Many women travelers in Iran report that Iranian women have helped when they are lost, or if they have just appeared fatigued or upset. Most travelers to Iran will rely on the services of Local Iranian tour guides, this is due in part to language barriers, a desire to get detailed information about some of the historic sites in an ancient country like Iran, or to get a good experience of “real” Iranian life, and also to focus on the surroundings instead of trying to navigate unknown towns, cities and streets. While this is a great idea, women travelers in Iran should look to travel with a licensed tourist guide in order to be sure that all possible social conventions are followed such as issues around photography, dress, dining and social or cultural behaviors.